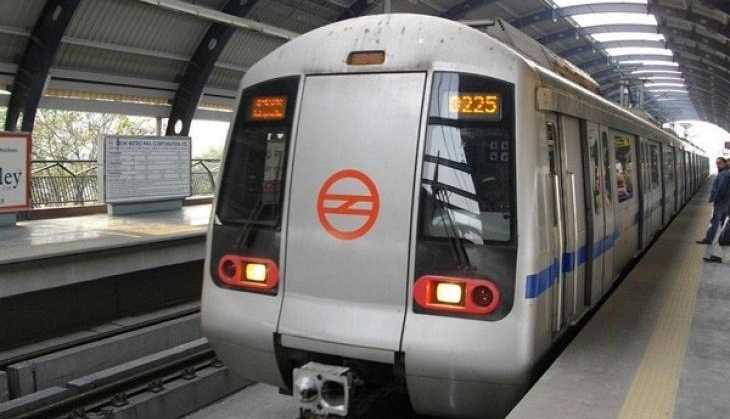 The newly installed platform screen doors (PSDs) began functioning at Delhi Metro Rail Corporation's (DMRC) Chawri Bazar and Chandni Chowk metro stations, a statement said on Tuesday. This is the first time the Delhi Metro had installed PSDs in already existing operational metro stations on the Yellow Line (HUDA City Centre to Samaypur Badli). The barrier between the platform and the tracks will help in better crowd management at these busy stations and also prevent any untoward incident such as jumping or falling on the tracks. According to the DMRC statement, the installation and commissioning of these doors at already operational stations was a major challenge as the PSDs could be installed only during non-revenue hours depending on the availability of blocks during late night hours after the close of passenger services. Four other stations of this line will have these PSDs which include New Delhi, Central Secretariat, Rajiv Chowk and Kashmere Gate in the future. The installation and commissioning of PSDs at these four stations will be done gradually in a phased manner after examining the performance at Chandni Chowk and Chawri Bazar stations. Apart from the Airport Express Line, such doors are already functional from day one of the opening of Botanical Garden to Kalkaji Mandir section (Magenta line) and Majlis Park to Durgabai Deshmukh South Campus section (Pink line).